As a fast growing and highly successful integrated content marketing firm, Brafton’s on top of what’s news and what’s new. To stay on top of their own explosive growth, the company recently moved from a manual spreadsheet expense reporting system to Concur. Automated credit card integration and seamless importation into the company’s QuickBooks financial application have streamlined and accelerated expense report processing and reimbursement. Eliminating manual systems and paper-based processes have dramatically improved accuracy and provided unprecedented visibility into expenses. Back-office processes that once took hours now take only seconds. Virtually paperless expense reporting process. No lost receipts or bulky paper files to manage. Seamless integration of expense reporting with QuickBooks. Credit card integration and automated systems. Eliminated need for onsite storage of receipts/reports. Near perfect visibility into expenses has helped to refine policies, capture greater savings and promote cost-effective practices. 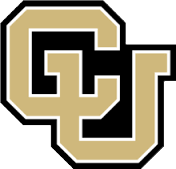 The University of Colorado and Concur make travel and expense simple.